This unit is well appointed, has a fantastic balcony, and sits on one of the most beautiful beaches on the island. This particular apartment has a larger outdoor living area than indoor, which I love for taking in the lush view. Penthouse living within a beachfront property! The penthouse at Glitter Bay Estate boasts some of the best views on the property. The balcony features cushioned wraparound seating, chairs, plush pillows and a table set for 4. The layout of the apartment is open, with air conditioning all throughout. The living room features a full entertainment center, and opens to both the outdoor dining and the kitchen. The kitchen is fully equipped, and faces the balcony. This suite has two bedrooms and two baths. The spacious master bedroom has a king-sized bed, ensuite bath, small study area that doubles as a vanity, and direct access to the outdoor living area. The second bedroom has one king-sized bed and a twin bed, with a small study and garden view. This apartment is perfect for a romantic couples’ getaway or a family in need of quality time. 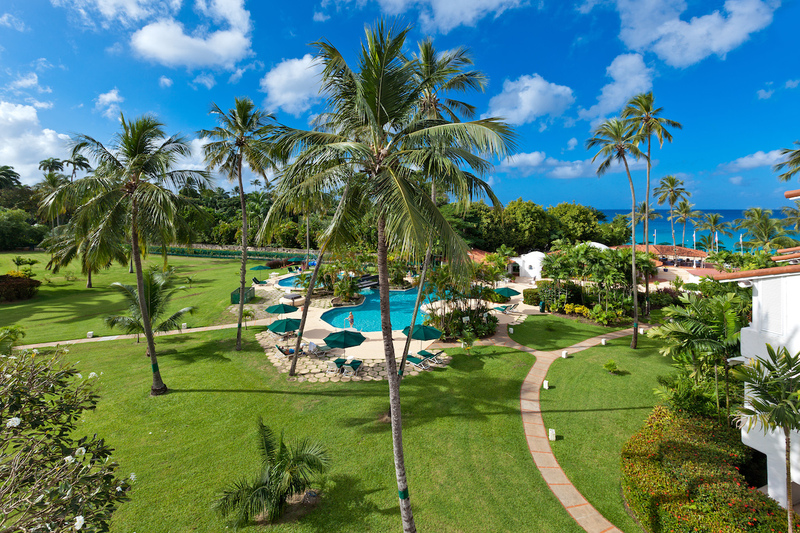 The resort has on-site dining, fitness center, pool, and tennis courts. Glitter Bay #409 was a great location, a great space and a well equipped kitchen. Veronica kept the place clean each day and was wonderful. The only drawback (although small), was the bathrooms’ lighting was dark. However, I would return to #409 many times. This is the 5th or 6th time I have used Andrew for a villa. He is professional, helpful and always timely on any inquires. I have recommended him to family and friends when they have expressed an interest in exploring villas in the Caribbean as I know they will be in good hands.